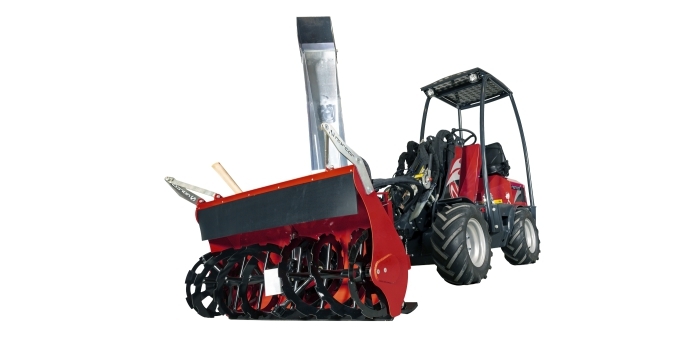 Norcar snow blowers are equipped with hydraulic controls for discharge chute rotation and throwing angle. Control of the attachment requires the loader to be equipped with a 4 and 5 hydraulic function. A control panel for alternating between rotation and throwing angle is included. This can be controlled directly from the joystick with the 4.5 hydraulic control keys, and the functions are alternated from the panel.